Jonathan Reade from Highways England and Andy Render from Keir met with four members of the Parish Council and four local residents on Tuesday 16th August in the Parish Hall. The purpose of the meeting was to hear updates on three potential schemes of interest to our community: the 50 mph speed limit on the A66; the possible dualling of the A66; a possible cycle way from Sandford to Appleby. The 50 mph speed limit is imminent – when the over-sticky tape is replaced with new signs. Highways England and the police will monitor speeds and we should perhaps ask someone from the traffic police to come and talk to the Parish Council in the coming months to get their perspective on the new speed limit. While there are no average speed cameras, they is a possibility of them later if speeds don’t reduce. We need speed checks not just at the new police lay-by but on the worst bends. Further junction work might also happen if needed. 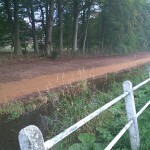 They will look at suggestions made by local residents who live very close to the A66. 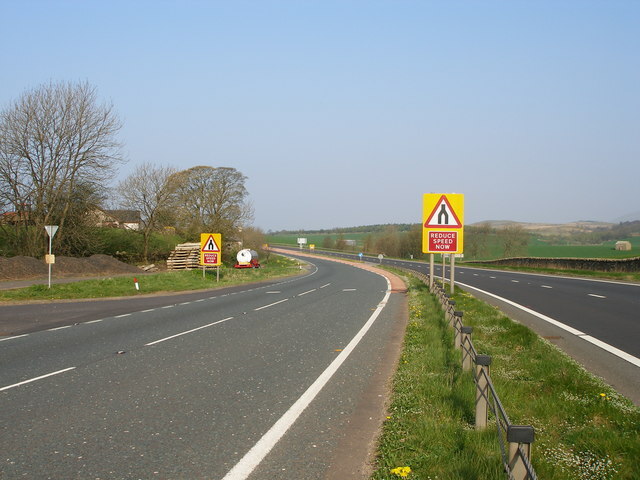 Dualling the A66 – a report to ministers is being finalised and likely to go to them in October. We should lobby Rory Stewart our MP round about that time to use his influence as that is when decisions to take schemes to the development stage are made. If successful, it means the scheme is committed and detailed work starts plus all the statutory consultations etc. The earliest start would be 2021/22 but a lot can happen in governments and the economy in that time! This isn’t the only scheme in the pipeline, of course. Jonathan referred us to an interim report which you can access via this link: https://www.gov.uk/government/publications/northern-trans-pennine-strategic-study-interim-report. There is a shorter summary but the 205-page full report is perhaps more interesting because of the huge amount of data it contains about traffic flows, accidents, speeds, freight use, projections and so on. Have a look at it if you can. It covers the A69, A66 and A685. The encouraging aspect is that HIghways England see the sense of dualling the A66 and it has a strong economic as well as a safety benefit and would support the “Northern Powerhose” policy. Cycle Way – Jonathan seems confident that the track bed and viaducts are fairly sound and feels a scheme like this would cost about £2m. He doesn’t seem to think that would be an issue, although they might find technical problems. They will try to find some funds to do a survey this year. Because it’s a safer route which can’t be built next to the A66, he seems to think it stands a good chance, possibly from the 2017/18 financial year. It would start at Sandford Bridge and go right to Appleby, with options to link to caravan parks along the way and places like Haybergill.